The conference “Toward Post-Carbon Cities” will be held in Turin on 18-19 February 2015. The Conference is organized by Politecnico di Torino in the person of Patrizia Lombardi, iiSBE Italia in the person of Andrea Moro, in collaboration with the City of Torino. New abstract deadline: Friday, the 2nd of October 2015 - SBE16 Torino. 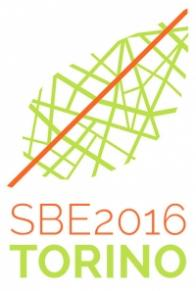 By popular request, we have extended the deadline to submit your 250 words abstract to SBE16 Torino! The event is free for all students, including PhDs. Transition toward “post-carbon city” imposes new paradigms in the policy makers agenda. It requires a burst in the carbon-dependency of our urban systems, which has lead to current high levels of greenhouse gases. There is the need for the establishment of new types of cities that are low-carbon as well as environmentally, socially and economically sustainable. In the current transition, new uncertainties and vulnerabilities of cities are emerging, that require an holistic evaluation approach and new integrated collaborative methods and tools with the aim at assisting urban planners, built environment stakeholders and policy makers in their efforts to plan, design and manage post-carbon cities.